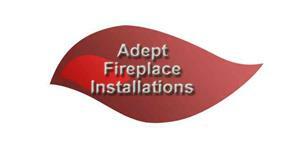 Adept Fireplace Installations - Fireplaces/Stoves based in Old Basing, Hampshire. Decorative and Gas Fire Installations. We are Gas Safe Registered & HETAS registered. Here to support your own purchase be it from a shop or online, with over 20 years experience. Good advice is guaranteed during a FREE site survey.